Two CIOs explain why there’s still a lack of women in the industry and how to overcome this issue. 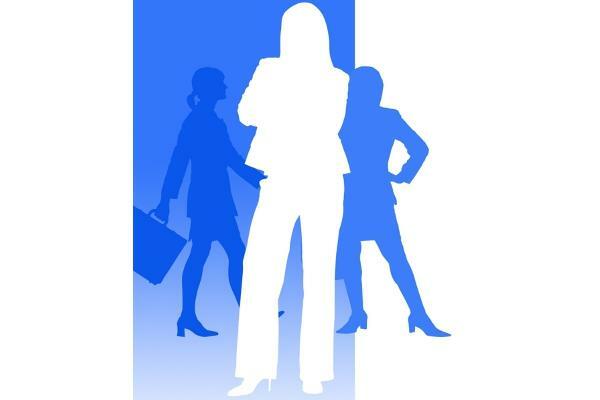 It’s no surprise that many CIOs may find themselves looking around their IT departments and asking, ‘Where are the women in IT?’ The IT industry has long recognised the need to encourage more women to pursue careers in the IT industry. However, this issue still looms. Research from the Harvey Nash CIO 2012 survey found that 27 per cent of Australian CIOs have no women in IT management roles, 21 per cent have no women in technical roles and 16 per cent have no women in business facing roles such as a business analyst. Further, 76 per cent recognise a need to bring more women into their IT departments, but 46 per cent believe there is a lack of qualified female candidates. So why is this so? Fiona Floyd, CIO of Suncorp Life, who is a mentor with Females in IT and Telecommunications (FITT), told CIO Australia the difficulty in finding women to fill these roles is mainly due to women not choosing IT as a career when entering university or tertiary education. The “dated” image of IT and related fields is mostly to blame, she said. “We don’t have a strong female pipeline and that goes right back to the number of females who are participating in STEM (science, technology, engineering and mathematics) courses," Floyd said. "If you look at the number of female undergraduates in those courses, there’s actually a very small percentage of that undergraduate population. It all goes back to the source which is careers in technology and related areas have an image problem right now." According to Floyd, the type of technology that is being taught in schools it is quite dated. "When it comes to providing young girls with career guidance I think the messages around careers in technology are pretty dated," she said. Joanne Stubbs, CIO of Bakers Delight, who will be a guest speaker at an Victoria ICT for women event this month, spoke to CIO Australia about the lack of marketing in the industry being the reason why IT may not be seen as an exciting career. “I think the IT industry has a lot to answer for in terms of the way it markets itself,” Stubbs said. Stubbs added that popular television shows depicting women in IT to be “geeky” contributes to the industry’s image problem. Floyd said media “hysteria” over outsourcing also damages the industry’s image as a whole, saying that there are IT career opportunities in Australia but they are often overlooked due to extreme examples of outsourcing being displayed in the media. To overcome the gender imbalance in the IT industry, Floyd said the industry needs to shift its focus on educating young women about the diversity of IT careers and to help encourage and lift their confidence by showing examples of successful women in the industry. “I think there are a couple of things that can be done to address this," she said. "One is around repositioning what a career in technology is about so that we get more females interested in the subject at secondary schools and therefore more females taking up the subject at university. Stubbs said the government has a part to play in the perception of women being equal to men in the workforce, as they are still not perceived as equal regards to parental needs. Stubbs added the IT industry still has an “enormous” way to go in changing the image and mindset of young people when it comes to IT careers. Floyd also said there’s still a long way to go for the industry to change and address the gender imbalance issue but is hopeful that it will change. “The industry has a long way to go. Just think about Facebook and the global campaign that was undertaken in order to get Facebook to put a female onto their board," Floyd said.